A disappearing or 'pondless' waterfall provides the natural look and relaxing sound of a real rock waterfall without the open body of water. Instead of returning water to a pond, these waterfalls seem to simply disappear into the ground. They require no regular maintnenance and can be turned off when nobody's around without compromising water quality. 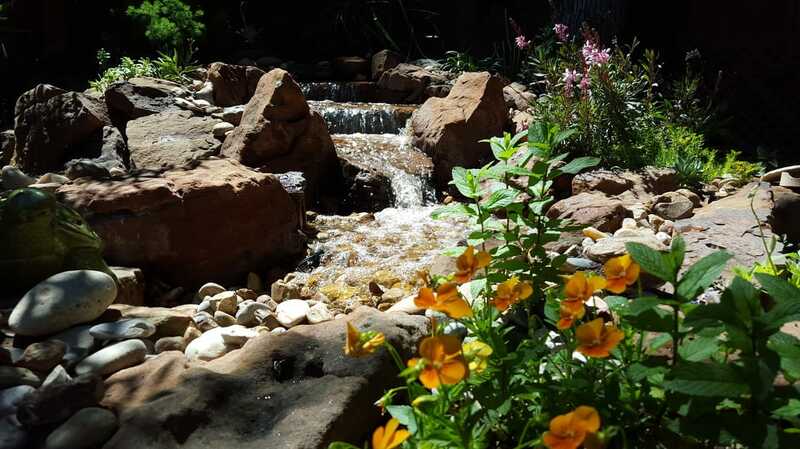 Pondless waterfalls can be equipped with an adjustable-flow pump, so you can change the look and sound of your waterscape using a remote control! They can also be fashioned to capture and store rainwater. Our introductory-size pondless disappearing waterfall/stream is around 6-8' long. For people with a flat backyard, we create the elevation we need by hauling in some soil to build a berm and creating a retaining wall around the berm to hold it in place. 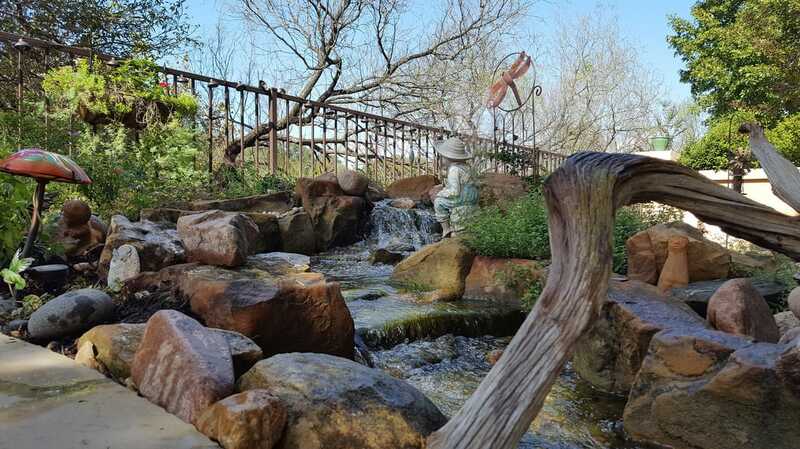 Small pondless waterfalls are built with hend-set boulders and are ideal for bringing the vibrant sound of moving water into smaller spaces.